In that sense it shares a common mission with lingofactory: to seed the world with madeupical words. I am shocked, shocked, shocked, I tell you, to think that anyone might believe for an instant that I was guilty of contributing madeupical facts or scientifically implausible theories to Wordie. Have you also joined the cult of ninja madeupical etymologists and/or piratical madeupical etymologists? Here's a slightly creepy article about a collection of unintentional Freudian slips madeupicalled by therapy clients. Gego needs to gego away. And I'm sorry but colon cleanser doesn't sound overly appealing either. The achy spammy products are plenty on Wordnik and there are many who think achy spammers resemble colon cleansers, but they deserve much worse than that. These kinds of achy spam products will make the site's members irritated. The acai berry products are plenty in the market and there are many who think that acai berry products are merely colon cleansers, but they are much more than that. These kinds of Acai cleanse products will make the method simpler. This reminds me of arguments about what is a species. No definition of "species" works in all situations, and the same is true of "word". OED2 says about species, "The exact definition of a species, and the criteria by which species are to be distinguished (esp. in relation to genera or varieties), have been the subject of much discussion." Some of the hallmarks of words are that they are pronounceable, used for open communication, have inferable meanings, and are related to other words (have derivations). I don't think every combination of letters can be considered a word. "Madeupical" meets all four of the criteria above; "dhn" mets none of them. The meaning of madeupical, might be inferred by a native speaker of English even without a context, even though it is not a standard formation. The meaning of dhn cannot be determined without a context. It might be an acronym, or it might be an arbitrary string of characters that conveys meaning only as a code. But yuckty is in the ear of the beyucker and/or beyuckee. "a sentient being that is incommunicado"
Would an example of this be a "dog lying doggo"? I would note that gangerh's definition does not make something a good word. Words can be made up and mutually understood, but linguistically some neologisms are just yucky. But any such etymological regression must eventually lead to the rootless root and the unrooted rooter. The fabulous first fount of phrases. The majestic magician of madeupicals. I can accept gangerh's last comment. That's reasonable, but for words that are used more widely, I think, should have some sort of etymology or root. 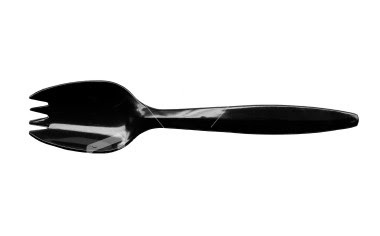 You say spork, I say runcible spoon. I would say a word is a word if the sense or nonsense of it is understood by a communicator and/or a communicatee and/or a sentient being that is incommunicado. So every combination of letters would constitute a word. I’m wondering if such a definition is not too broad to be useful, but I kind of like it. I would say a word is a word if it is mutually understood by a communicator and a communicatee. Then books written in a language I don’t understand wouldn’t contain any words when I “read” them. Or would I then just not qualify as communicatee? In that case, if a sentence in such a language were embedded in an English text, for example to show all the pretty characters, I would cease to be communicatee for a second while I read that sentence? That strikes me as rather unintuitive . . .
I’d rather say that a word becomes a word for someone when (s)he either associates some concept with its form or comes to believe that someone else might do so. “Madeupical” then could just mean that someone wants to point out that the originator of the word is a specific person and moreover a person that is felt to be close to some degree, be it temporally, socially or in some other way. I would say a word is a word if it is mutually understood by the communicator and the communicatee. Exactly my point. Somewhere along the line, someone has to make up the word. Surely every word was once ante-madeupical? Unfortunately, I don't think the rest of the world necessarily agrees. Important question: what constitutes a legitimate word, especially in comparison with a 'madeupical' one? That was a very johnty comment, Pro. How can one be the johntest guy? Nobody can possibly be johnter than you. Who the hell is the 'johntest' guy? I don't trust him. Might be madeupical. Well hello, old friend. My first comment on nuevo Wordnik. Here it is on Wordnik. I like that Wordnik's giant computer brain suggests "cromulent" as a related word. Invented on the fly here: http://wordie.org/words/nounal. Also see "madeupatory" on Wordie. Thanks! Although, now that I've thought about how I wanted to pose the question for a while, I figured out pretty much all I wanted was overstatement. Psh. Uav! Actually, this sentence popped out at me: "madeupical etymology isn't defined yet." Wow! You can use it to track Wordies' lives outside Wordie! That's true, sionnach. Madeupatory came first, and it was made up right here (see comments), whereas madeupical was coined at nounal. I would just like to remind everyone that, before there was madeupical, there was madeupatory. This word is Wordie's frindle. The role of madeupical words in the quality of fiction writing was recently the subject of an xkcd comic panel (be sure not to miss the mouse rollover text). This panel was discussed today on the linguistics blog Language Log. Ah, what do they know, uselessness? ;-> Yarb, I can't believe you dreamed about madeupickal in its variant 19th-century spelling! You must be wordieing too hard. The other night I dreamt I was reading an obscure novel from nineteen-o-something. In a footnote of this novel, or it might have been non-fiction a la William James, I saw the word "madeupickal", and thought "a-ha! This will be a killer citation!" Then I woke up. Don't worry about it; misunderstandings just happen sometimes. And Cthulhu had nothing to do with it; believe me. How can you not have a pronunciation guide for a word? Even if it's 'uncertain', on the model of Cthulhu, that's still information that permits a guide. We need a pronunciation guide: this is my first time looking at this page, and I'd expected the pronunciation to be mad-yuu'pi-cal. blurfle--to be speaking loudly over music, as at a dance club, only to have the music stop suddenly just as you're saying something like "... testicles laminated!" I just learned the word sniglet, which is a synonym for madeupical, and equally fun to say. Archive note: the very first mention of madeupical is at nounal. So in ages hence, all will see Wordie brilliance. Of course it's real! After all, I made it up, and I'm real! Case closed. Besides, no one ever puts madeupical words on Wordie. Ever. Because we've all been saying this word, and nobody had it listed. It's totally real, by the way.